If you are a lover of "Gold & Bold" statement pieces, than welcome to my glittery wishlist. Is that time of the year ALREADY and I want to share with you a few Holiday gifts ideas for all the women in your life and last but not least for yourself too. 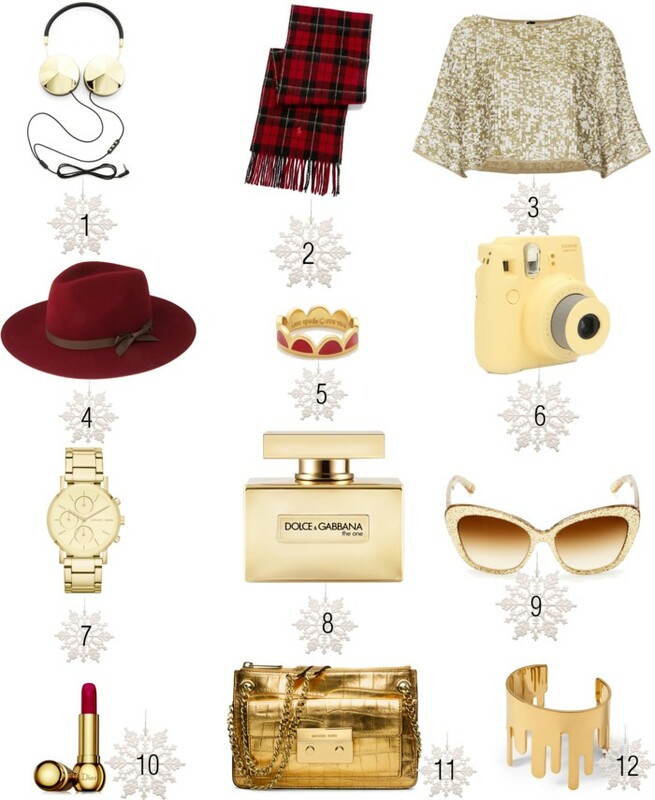 I'm totally into a gold watch and a red lipstick, what is your favorite pice ? How cute is that camera! I am loving a red lip for the holiday season as well.